Is well suited for those who want NIOSHs highest rated filtration efficiency in a maintenance free respirator. Workplace applications includes OSHA substance specific particle exposure in concentrations up to 10x the OSHA PEL (Lead, Cadmium, Arsenic, MDA, excluding asbestos). 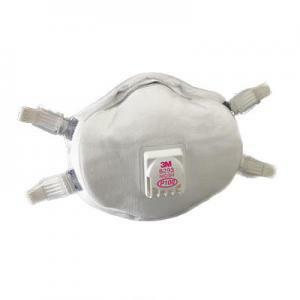 This respirator features the 3M™ Cool Flow™ Exhalation Valve, comfortable foam faceseal and adjustable straps. Respirators are individually packaged.